Boiler replacement? New Boiler? Dont want to pay £1000’s for questionable work? We can help. At BoilerReplacementsChorley.co.uk (a trading name of A&A Williams Heating and Plumbing), we have over 23 years experience in replacing, installing, servicing and repairing boilers. We work within a 20 mile radius of Chorley, covering areas such as Preston, Wigan, Blackburn and Southport. 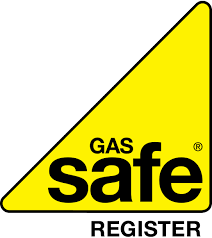 We are Gas Safe registered (www.gassaferegister.co.uk). You should always ensure anybody undertaking boiler replacement, boiler servicing or boiler repairs is Gas Safe registered. 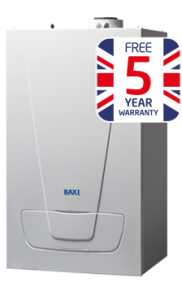 Specialising in replacement Baxi Boilers, our level of service and attention to details is second to none. Boiler replacements Chorley will always ensure that only NEW replacement boilers are fitted, and we will discuss all work with you, and provide a detailed estimate, prior to any work being undertaken. All our work comes with a full 5 year guarantee as standard. Unlike most companies, we will happily provide you with references from clients we have previously worked for. Over 90% of our work comes from word of mouth referrals. This is something we have worked hard to achieve and are incredibly proud of. Not sure which type of replacement boiler is for you? Baxi offer a fabulous range of boiler replacement options. Combi Boilers. Heat Only Boilers. Back Boilers. Even the newer, greener Biomass Boilers. At Boiler Replacements Chorley, we have the knowledge and experience to guide you through the selection process. Not every type of boiler is suitable for every home. Even a boiler that has been in place for years may not be the correct option for your home. An incorrect boiler can cost £100’s of pounds a year in additional heating and/or hot water costs. Let us help you make the right choice. Boiler Replacements Chorley will NEVER charge you for an estimate!